Have You Ever Felt You Were Going to Break under Strain? I was at a conference in Slovakia recently, testifying to the Power of Jesus to heal from cancer. While staying in Budmerice with my son Aaron, wife Marta and family I took a walk around the neighbourhood. Fruit trees flourish in the hot summers there. I saw plum trees heavily laiden with fruit. The branches were weighed down, in danger of breaking with the abundant produce. The gardener had put stakes under two of the boughs to support them so they wouldn’t break. I am reminded of a line in Richard the Second. Scene iv, the Gardener speaking. Shakespeare, who is the author of Richard the Second, had a big family. 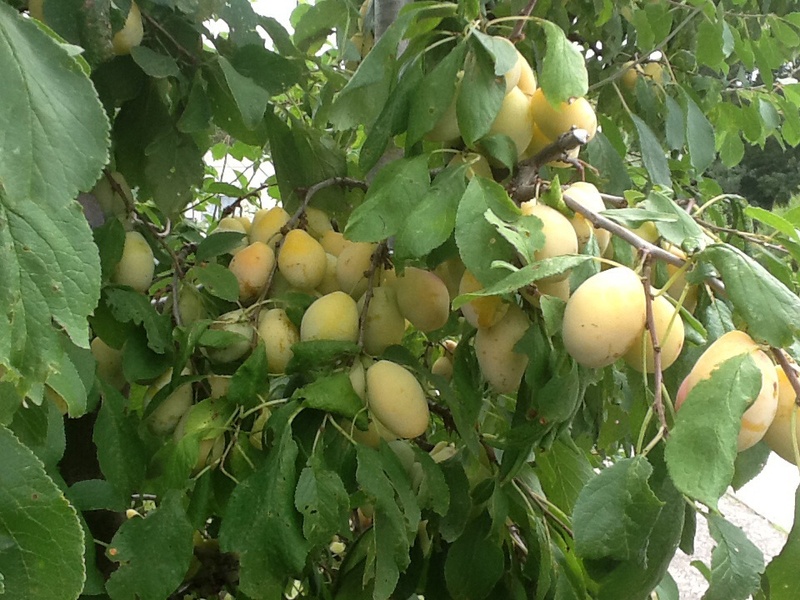 He likened the apricots on the tree to children that like the fruit caused the twigs to bend with weight. My husband was the gardener in the play many, many years ago when he was at university. I remember these words he spoke. We had two children at the time. Little did we realise we were going to bear more fruit. God gave us fourteen children. We have borne fruit down through the intervening years. I looked at the fruit bearing branches and I remembered I have often been at breaking point. How can I have another child? How can I rear my children? How can I afford another child? God who chose us to bear fruit has always been faithful. Help and support always arrived when Brendan and I needed it. God gave me the strength to keep going. A scripture verse would encourage me. Someone would ring me up and encourage me. My husband and children helped. I did not have immediate family, no aunts or grandparents to help. A young lady called Aine came to live with us for two years. She was a great support. Another time when my husband had to go on a trip to India, a young American called Sheila came to help. She stayed for nine months and loved the rough and tumble of family life. Sarah Smith stayed one summer with us. She was another “stake”. More recently after I had cancer, Alexandra from South Africa came to our home. She said God told her to come and help an Irish family. Once God sent three ladies from Canada to our home to prophesy and encourage us in our work. So Brendan and I did not break under the strain of bearing fruit. God is faithful and has always sent us encouragement when we need it. He continues to meet our need. Praise to The Lord Almighty. Such a great encouragement and reminder of God’s faithfulness.